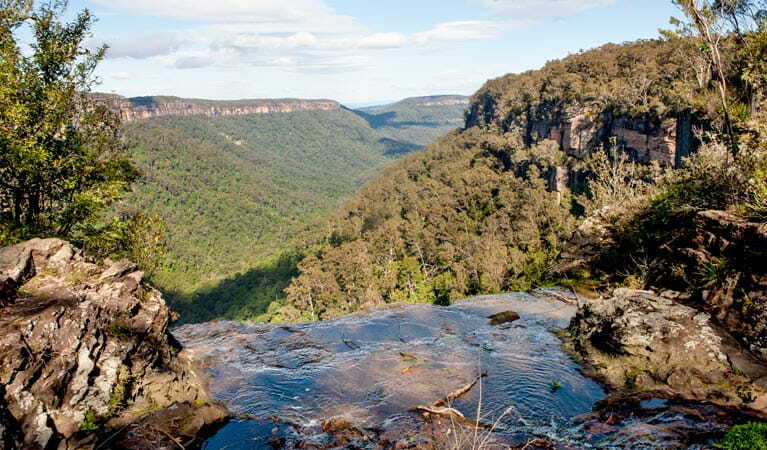 Moderate West Rim walking track offers scenic waterfall views, ideal for families on a car tour of Morton National Park, in the Southern Highlands, near Robertson. 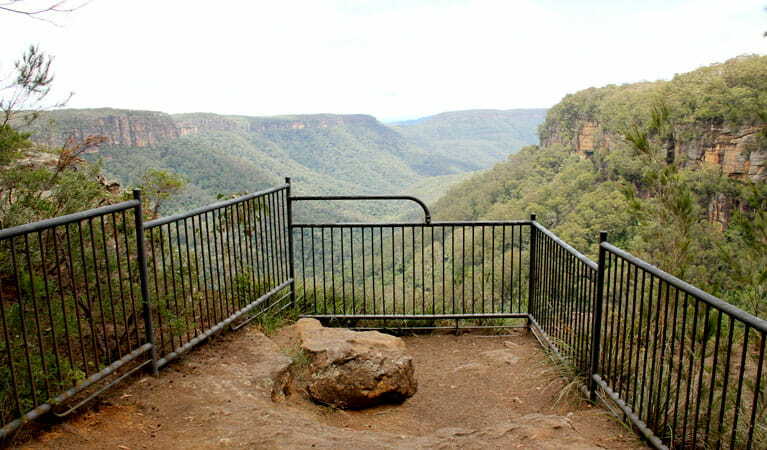 Park entry fees apply at the Fitzroy Falls Visitor Centre carpark. 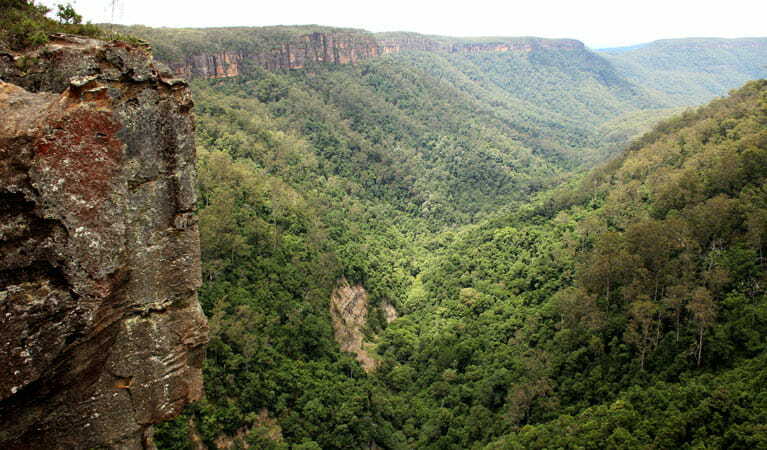 For a delightful walk through pristine eucalypt forests and lush rainforest, moderate West Rim walking track offers spectacular views of dramatic gorges and waterfalls in Morton National Park, near Robertson. 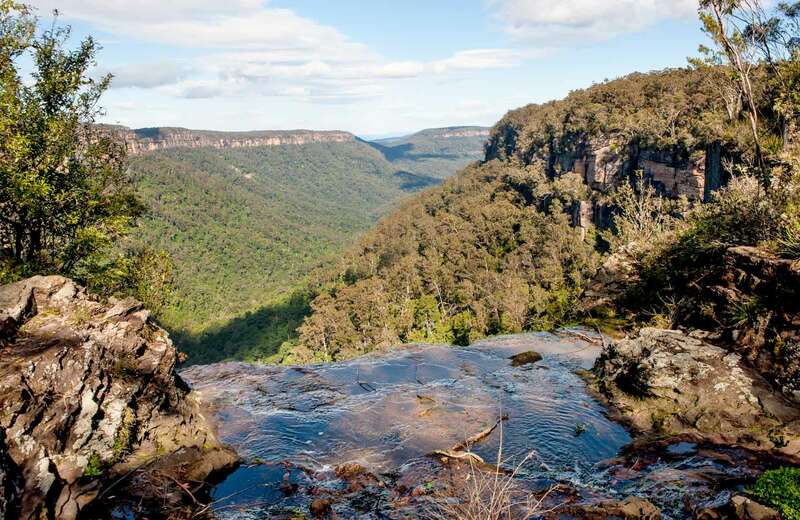 Nearby Fitzroy Falls Visitor Centre offers loads of information on the local highlights, as well as delicious meals, making this walk ideal for family outings and a highlight of a car tour of the Southern Highlands. Following this gently undulating track, you’ll trace the western edge of the horseshoe shaped escarpment leading to Renown lookout. With lookouts along the way, there’s plenty of opportunity to stop and enjoy the sweeping views of deep river valleys and waterfalls. 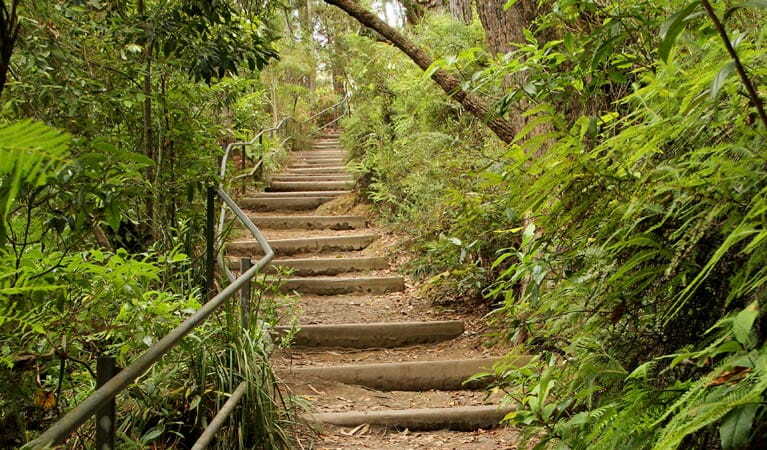 Enjoy the lush ferns and towering forest canopy of coachwood, bloodwood and lilly pilly. Look for the flowering boronia as well as the purple flowering chocolate lilies, with their distinctive scent, in the spring. Take a virtual tour of West Rim walking track captured with Google Street View Trekker.